No Heat? FURNACE requires service? No problem! We offer 7-24 hour EMERGENCY SERVICE in Georgetown, Acton, Milton, Halton Hills and the surrounding GTA Area. Contact us regarding the newer, higher efficiency models that save you on hydro/gas operating costs! We all want heating that keeps us comfortable in cool weather, and is also energy efficient and economical to run. We can help you choose a heating option that is convenient, economical and effective and suits your lifestyle. The smooth comfort of gas heat with the most advanced technology by Carrier. Or our earth friendly Geothermal systems that save energy, money and the environment. 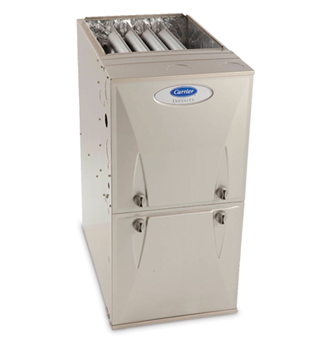 Carrier furnaces provide the optimal combination of comfortable heating and energy efficiency—which means you’ll save more money while doing your part for the environment. When shopping for a furnace, consider the Annual Fuel Utilization Efficiency (AFUE) rating, which indicates what percentage of the energy is being converted to heat. The higher the rating, the more energy efficient—meaning you’ll save more money. Also, keep in mind that the furnace should be quiet, easy to operate, and reliable. No matter what type of fuel or heat source your home has, there’s an innovative Carrier gas, oil or electric furnace for you. Fireplaces, Stoves & Inserts A Fireplace for every room. Napoleon® fireplace's add value to your home while giving you uncompromising comfort and a reliable source of heat. The perfect accent for bedrooms, bathrooms, kitchens, entrance ways, offices, bars, lounges, living rooms and waiting rooms. 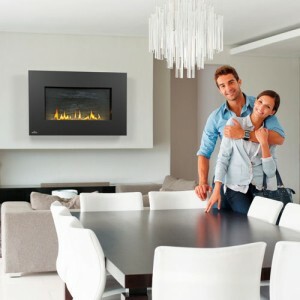 A Napoleon® fireplace adds the most return for your home investment. Napoleon's commitment to producing quality products combined with honest, reliable service has proven to be a successful benchmark to ensuring the continued growth of the company.